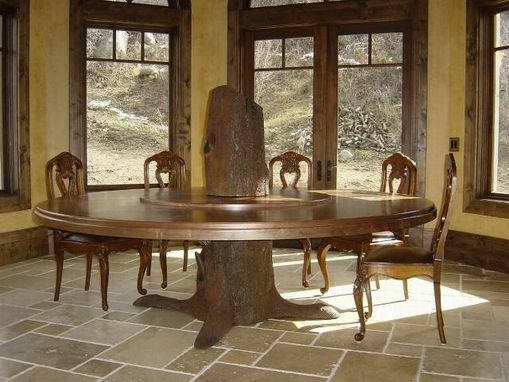 My work here is the tree trunk in the center of this 8 ft table. The upper section is atop the lazy suzan. The knot holes are ice containers for bottled drinks. A squirrel sits on the stump. A collaborative work would be necessary to complete another of this kind. Listed prices are quite loose. Every maker has a story. Be a part of Jacob Dean Metal Sculptor's story by placing an order, leaving a review, and seeing your review appear here.